If you thought gaming was getting cheaper think again! Mad Catz, the maker of Rock Band has announced new instrument controllers for its third Rock Band and this could cost you up to $360 for the whole set. 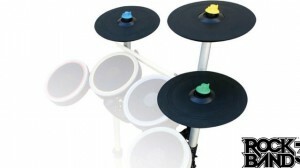 There are four new editions to the Rock Band musical which are a wireless keyboard controller, a quieter three piece cymbal kit, a Fender guitar controller and a MIDI adapter. The wireless keyboard contorller can be used either as a controller or a sa fully functional MIDI keyboard. 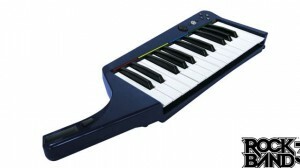 The keyboard can be word on can be placed on a stand and could also be used to play guitar or bass parts. As a stand-alone peripheral it costs $79.99 and a with Rock Band 3 costs $129.99. The cymbal expansion kit has improved sensitivity for better response. The cymbal is most efficient in the Rock Band Pro mode. The cymbal kit will be priced at $39.99. 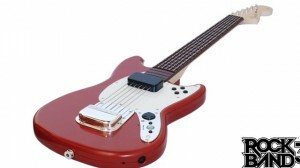 The Fender Mustang PRO has a nice touch sensitive string box that lets players “mute” their notes. The Mustand also functions as a MIDI guitar. It costs an expensive $150. The MIDI pro adapter lets players use their MIDI keyboards and drum kits to play the game by converting the MIDI messages into game commands. 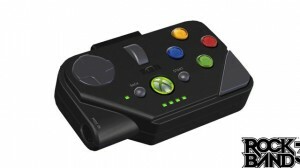 The device also has a full d-pad and standard button layout so negative menus wont be a issue. It is priced at $39.99. Although expensive Rock Band is competing directly with Guitar Hero. The market now needs to respond and the trend will sure be interesting to see.